Microsoft introduces an update for Windows Vista, for Windows Server 2008, for Windows 7 and for Windows Server 2008 R2. This update adds support for the new currency symbol for the Indian Rupee. This update includes font support, locale changes, and keyboard support. Go to Microsoft Knowledge Base 2496898 webpage; simply choose your operating system and version (64bit / 32 bit etc) from the chart and click to download. Note: This update requires Microsoft Genuine advantage checking. So, download via Internet Explorer or Mozilla Firefox. The Indian rupee (Devanagari: ?????) (INR) is the official currency of the Republic of India. The issuance of the currency is controlled by the Reserve Bank of India. The modern rupee is subdivided into 100 paise (singular paisa). Bank notes are available in nominal values of 1, 2, 5, 10, 20, 50, 100, 500 and 1000 rupees. Coins of the rupee have nominal values of 1, 2, 5, 10, 20, 25 and 50 paise as well as 1, 2, 5 and 10 rupees. However, with effect from 30 June 2011, 50 paise will be the minimum coin accepted in the markets as all denominations below it will cease to be legal currency. On March 5, 2009 the Indian government announced a contest to create a symbol for the rupee. During the year 2010’s Union Budget, Finance Minister Pranab Mukherjee mentioned that the proposed symbol would reflect and capture the Indian ethos and culture. Five symbols were shortlisted and the Cabinet selected the definitive symbol created by D Udaya Kumar on July 15, 2010. The symbol is derived from the Devanagari letter ˜?™ with an additional horizontal line. The parallel lines at the top (with white space between them) make an allusion to the tricolor and also depict an equality sign which symbolizes the nation’s desire to reduce economic disparity. The Indian government will try to adopt the symbol within six months in the country and globally within 18 to 24 months. Before the adoption of the symbol, the most commonly used symbols for the rupee were Rs, Re or if the text was in an Indian language, then an appropriate abbreviation in that language. The official rupee sign is included in Unicode from version 6.0, which was released on October 11, 2010. The content ( ? <– rupee symbol) inside the braces would only be visible if your computer have the updated version of Unicode Installed. The Rupee symbol can be generated by pressing Control + Shift + u + 20b9 from your keyboard if the updated version of Unicode is present. Ubuntu 10.10 was the first operating system to include this version of Unicode. 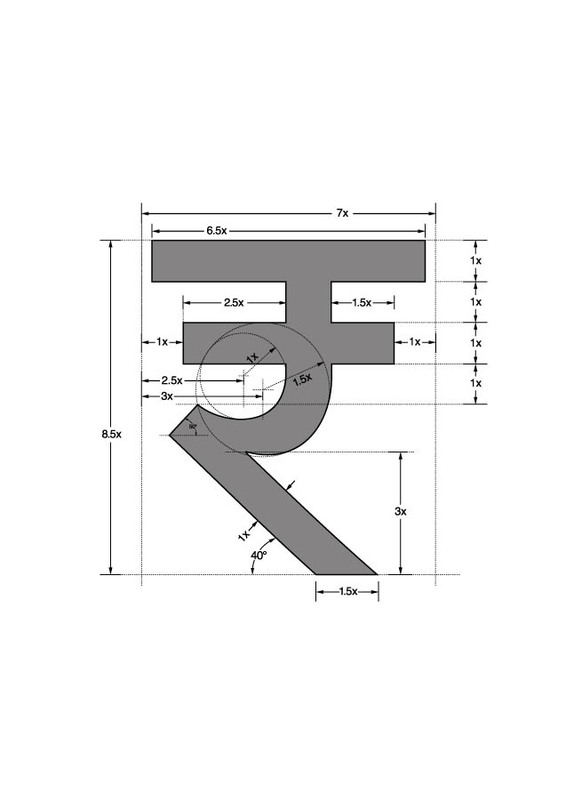 The Indian rupee symbol () is derived from the Devanagari consonant “?” (Ra) with an added horizontal bar. It is also derived from the english consonant “R” without the vertical line, with added two horizontal bars, (similar in comparison with Yen and Euro symbols). Above we have posted the full size (it is reduced to smaller size in post) with exact pixel by pixel guide lines. Right click on the image and save it on your computer. This Article Has Been Shared 649 Times! Presentation highlighting infection data collected from the Malicious Software Removal Tool and data collected from Microsoft Security Essentials in its first year. Cite this article as: Abhishek Ghosh, "Microsoft KB2496898 : Support for Indian Rupee symbol in Windows 7," in The Customize Windows, March 24, 2011, April 18, 2019, https://thecustomizewindows.com/2011/03/microsoft-kb2496898-support-for-indian-rupee-symbol-in-windows-7/.